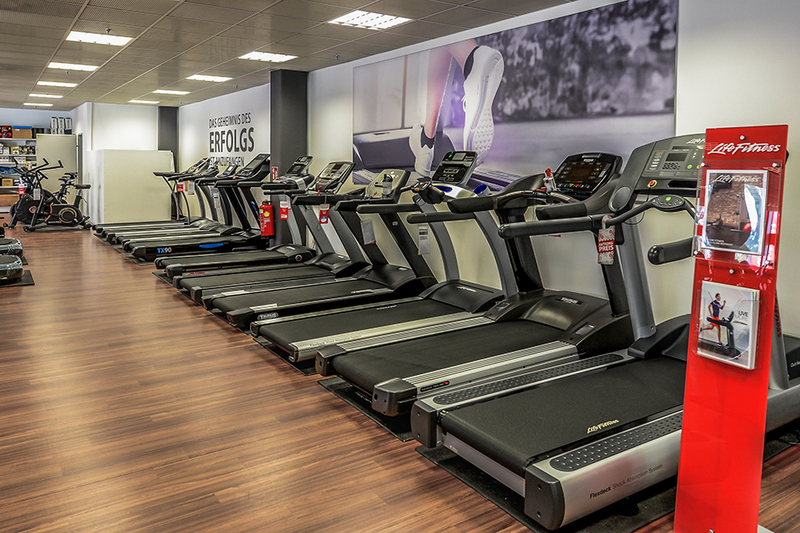 Bezoek onze fitness speciaalzaak met een showroom van 500m². When you wish to buy fitness equipment in Vienna, the Floridsdorfer Hauptstr. 1-7 is the right address for you. 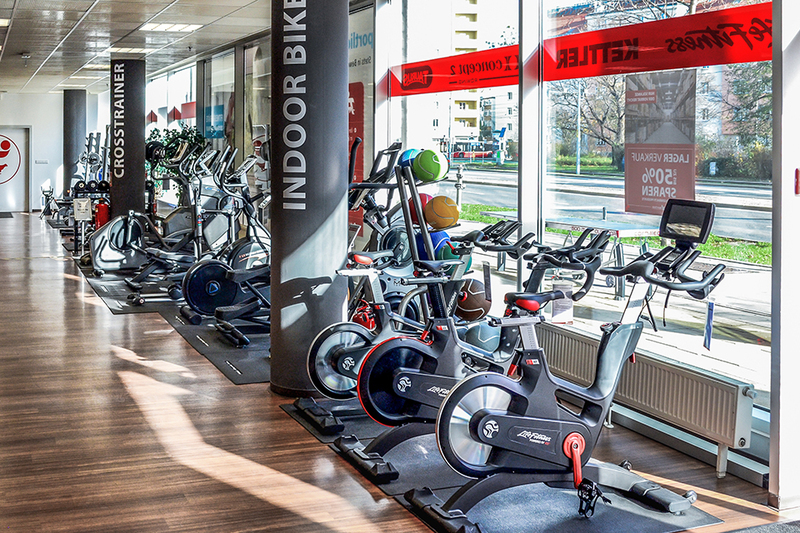 On a space of 500 sqm, you find a big showroom space for home fitness equipment and multi-gyms in Vienna. Besides the classics like elliptical cross trainer, treadmill, and exercsie bike, we also present you fitness equipment for Functional Fitness and strength training, for gymnastics as well as boxing in Vienna. Of course, you are welcome to test and try every fitness equipment extensively on site at our showroom and purchase it in Vienna. Our team is happy to advise you in finding the appropriate fitness equipment for you: no matter whether you are interested in a rowing machine of WaterRower or you wish to do an intensive session on an indoor cycle of Taurus. We are happy to give personal and individual advice before you buy a fitness equipment. And even after the purchase of your new fitness equipment at Sport-Tiedje in Vienna, we assist you in all questions about our fitness equipment. 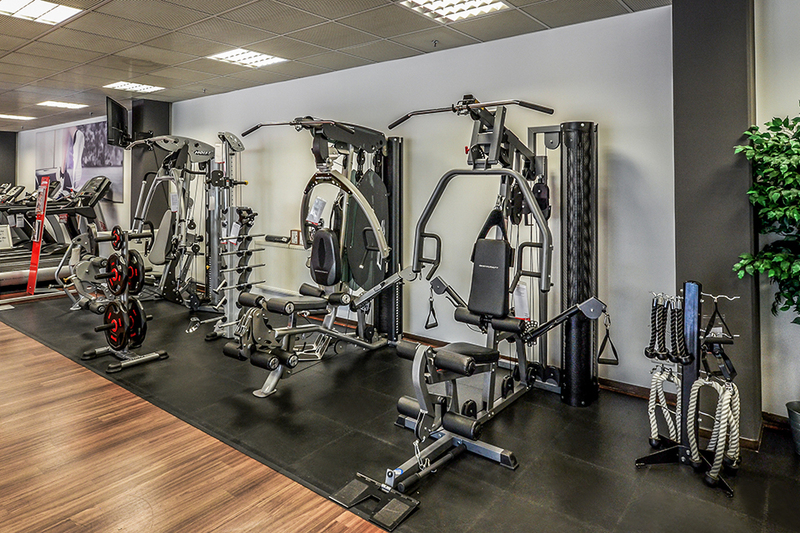 And of course, we also support you in assembling your fitness equipment in Vienna and its surroundings. 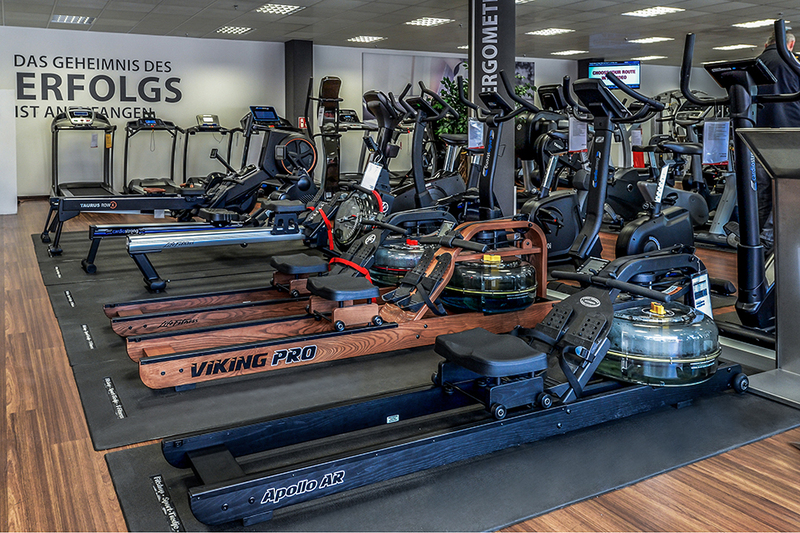 You cannot only buy fitness equipment at our store in Vienna, but we also offer you everything around. Our service team is also happy to recommend you the appropriate nutritional supplements for your training target. At our store in Vienna, an iPad is available as well. If you wish to buy a fitness equipment, that can be controlled via Tablet or Smartphone, you can test the Apps and the fitness machine beforehand. Thus, next time, you are interactively prepared for driving around the Donaupark in record time. Besides parking spaces in front of our specialist fitness store, there are sufficient parking facilities at the car park at the back of the building.